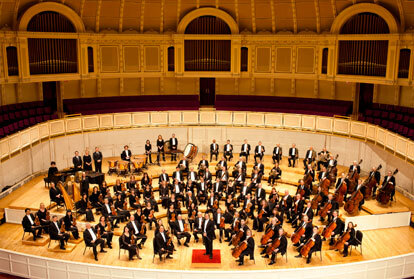 The musicians of the Chicago Symphony Orchestra are now in the fourth week of their strike. This strike is the result of unacceptable demands made by the Chicago Symphony Orchestra Association, including minimal salary increases and that the musicians agree to close their defined-benefit pension plan and replace it with a defined-contribution system (e.g., 401k or 403b accounts). It is essential that the musicians of ICSOM respond whenever and wherever our members are in need. It is through our united network of orchestras that we can effectively articulate to our managements that a move against one of us is a move against all of us. Let this serve as a CALL TO ACTION for our membership. The unity and generosity of all ICSOM musicians, along with our brothers and sisters in ROPA, OCSM, RMA, TMA and throughout the AFM has been an inspiration to our members and a cautionary tale to our managements. The musicians of the San Francisco Symphony have generously offered a lead donation of $15,000 for our colleagues in CSO. The support of our ICSOM orchestras in these Calls to Action has been extraordinary and makes a tangible difference in the lives of our fellow musicians. Now the musicians of the Chicago Symphony Orchestra need your help. What happens in Chicago affects us all. If we respond effectively to every Call, we demonstrate the power in collective action as we spread the positive community message of the musicians of ICSOM.